Meet Mr. Chris Jennings, a "consultant" to American Board of Internal Medicine (ABIM) in fiscal year 2010. Mr. Jennings has also served as an advisor to Theranos, the health care technology company recently labeled as a fraud. Mr. Jennings is the founder and President of Jennings Policy Strategies, Inc., a company with whom, according to their 2010 Form 990, the ABIM "consulted" for a cool $120,000 for fiscal year 2010. (Here's documentation of a portion of that amount). According to the Center for Responsive Politics, Jennings Policy Strategies, Inc was not really a "consultant," but rather a registered lobbying firm in Washington DC in 2010. Just as before, it appears the ABIM has failed to disclose lobbying activity with this firm on their 2010 Form 990 disclosures, choosing instead to label the activity as "consulting." Given this, it appears fraud may involve more than Theranos. This begs the question: where's the IRS? "Clinton Aide Joins Obama on Health Care," New York Times July 7, 2013. "Clinton Campaign Advisor Also Advised Fast Faltering Health Care Company," Free Beacon 11/12/2015. Health Care Affairs blog bio. Non-disclosure agreements at the ABIM/ABMS prevent the conflicts of interest, corruption and fraud from leaking out, despite stating on their tax forms that they have written "conflicts of interest" and "whistle blower" policies. One example of this, and an important one: there are court documents alleging that ABIM engaged in practices of discrimination and then retaliation against two whistle blowers who were unmistakably discriminated against and then cruelly treated and subsequently fired for reporting - of blowing the whistle on federal crimes. If the facts bear up, these two women of color were treated heinously with real psychological torture as their "reward" for putting in hard work and dedication to the ABIM - each for over a decade. After being summarily fired, the women who were discriminated against sued the ABIM. ABIM's attorneys settled out of court to suppress the egregious offenses from reaching the media. This story is credible and reveals the inner workings of the ABIM. It is not pretty to say the least. To throw loyal employees of over a decade out is beyond belief. They have real power issues and exhibit patterns of abuse both to their employees and clients. What they do internally, they do externally. Anyone trying to truly reform the ABIM will not stay long. Their stubborn inability to listen to reason and end MOC as the AMA House of Delegates resolved - representing the vast majority of physicians. This alone is proof of their abusive business practices. It is one of the best examples and a summation of what is wrong with the ABIM to a large degree - money and power. Zero communication with anybody other than "their own shills and cronies" makes for preposterous "self-regulation". Self (me and you) is cut out of the process and one is left with nothing except discrimination and abuse of power. The rights of the person ignored. What we see happening at movie studios, inflicted by those with power and such is very real and shows how those in positions of authority can abuse and abuse again and again and keep getting away with it for decades. It is akin to what is happening at the ABIM internally and externally. And this abuse of authority (albeit self-appointed) - in potential and in fact - affects hundreds of thousands of physicians and millions of patients every year. The abuses to the profession of medicine and patient population, which ABMS MOC inflicts on those who suffer MOC, are like salt on an open wound. The mandates/requirements/money demands/civil harms happen with greater frequency; this mandated harm is an ill that cannot be measured in just millions of patient contact hours lost, or millions of patients not seen. It can only be measured in real life and not in quantified theory. The distortions of common decency and violations of simple trust must be measured. The breaches of morality must be measured in the mirror of relationship - seeing and being seen in each moment, as much as possible, who we are and how we treat one another. And as each moment passes we must be engaged in correcting that behavior. This, I believe from experience as an educator, can only come from within if it is to be a lifelong engagement. Otherwise burnout happens from the very first day from any such discordant externally-imposed lifelong educational models. We are of course speaking of the most highly trained professionals on the earth today and perhaps as far back as history can be told. This mandate of an authoritarian model is the greatest mistake that an educational institution can make - to impose with dictatorial thumb that which can only be inspired or motivated from within - lifelong learning. We are not speaking about a street gang with AR15s in hand; they wield no chains or knives. We are speaking about professionals who deserve the highest degree of respect for the clinical service and sweat of brow which they provide to humanity in their daily lives. The whole of the ABMS got their "educational model" wrong, especially at the ABIM under Cassel and her protege Baron. But then, we see the ABIM is not an educational trust at all, it is a corrupt political horn blowing out of control for decades. The lobbying mentioned above confirms what we suspected or knew all along. Let's face it, while she worked at the ABIM, Cassel was a full time lobbyist/"consultant" for healthcare reform hellbent of imposing "her authoritarian model" and "cost savings plan" on the country and herding physicians over the quality cliff with her flute. But really she worked for her corporate friends all along where she amassed a fortune, while attempting to fool everyone. Nobody would get a referendum with her/their Ponzi scheme. The money and profit they accumulated from MOC and doc fees was used and abused by zealous greedy fools like Cassel who did not value what they had. They violated it all. Now there is not respect for them whatsoever. They strayed from walking the good path in life and found it hard to follow moral principles, but only interested in imposing them on others. The chasm is wide between their teachings and their practice. In fact, the entire ABMS has turned into nothing more than a corrupt investment bank, a fat little piggy with a slot ready and willing in the room next door - for investing their loose change in meaningless self-serving propaganda. Meanwhile in the offices down below we hear the processors working the physician data, for it is also an information processing facility for Big Data. And the block chain software will be installed as soon as their corporate partners have it ready. It has also become a surveillance branch of the industry, molded into their own personal deep state and protection scheme with their felonious offices of investigation. How bizarre! They act as though they were the incarnation of J Edgar Hoover creating files on everyone and through fear mongering control everyone they can. This is surprising to see at a mere "testing company". I wonder, do they also have a wall of stars for their fallen heroes who took a "bullet" for them in the line of duty. What evil worms have gotten into their brains? It starts out with a bang when on the first page we the signature line for Snr VP CFO "signed" by Christine Cassel. What? The principle officer at the top is Vincent Mandes without title. McGladrey charged more for this (if they even looked at it?) than any other year I saw for the accounting as the total accounting fee was over 107K that year. Typically this accounting "cost" had been around $63K in 2007 to $82,320 the year before in 2010-11. Accountants/aditors seem to do quite well. Nice price appreciation. Then the interesting and intriguing part begins. If they paid more for this year, why didn't McGladrey catch the signature error and have it changed. They usually always request an extension in filing. And especially so, because under independent contractors McGladrey is listed as having provided "accounting/consulting" services with the grand pricet tag of 361,753. That is a lot of "consulting" or whatever it was really for. Just look at the error on the tax form. ABIM should get some money back for that "consult" 362K. Or did it also go to K Street? If the code word for lobbying is "consulting", then they must have funneled a lot of money through their accounting/auditing firm: RSM McGladrey of 5155 Payshpere Circle, Chicago, IL. Did Mandes have some problem signing this form himself. Cassel's name is reproduced on every page where it is normally the CFO Mandes' name. They must have been too busy "consulting" that year to get the tax forms most basic and primal information straight. Or the CFO did not want to lie on yet another tax form about lobbying. PCMA PROMOTES PHARMACY BENEFIT MANAGERS (PBMS) AND THE PROVEN TOOLS THEY UTILIZE, WHICH ARE RECOGNIZED BY CONSUMERS, EMPLOYERS, POLICYMAKERS, AND OTHERS AS KEY DRIVERS IN LOWERING PRESCRIPTION DRUG COSTS AND INCREASING ACCESS. PROMOTES THE INTERESTS OF ENTITIES ENGAGED IN THE GENERIC PHARMACEUTICAL INDUSTRY. RSM McGladrey Inc. provides audit and accounting services. It offers tax and consulting services. It serves the banking and financial. consumer products, food and beverages, government, healthcare, life sciences, manufacturing, non-profit, private equity, and real estate industries. The company was founded in 1926 and is headquartered in Chicago, IL. Founded in 1885, Ballard Spahr LLP provides legal services. The company also provides counsel in litigation, business and finance, real estate, intellectual property, and public finance. With more than 500 attorneys in 14 offices, its headquarters is at Philadelphia, PA. Consultant: Jennings Policy Strategies, Inc.
AOA is one of them. More of Christine Cassel and Richard Baron's corrupt legacies - the graft and selling out their colleagues' right to practice and a patient's right to care. All for the love of money. Who quietly lobbies for Premier/Cecity to strengthen their grip on policymakers' (and physicians) as they continue expanding their already huge/lucrative empire of hospitals - 3900 - and other provider organizations - 150,000. Working with corporate partners/sponsors like the ABMS and AOA, Premier, Inc. will not let go of their MOC markets or the big rivers of data - and billions of dollars in revenues - flowing in between. Anyone doubt Baron's involvement in the execution and conscious scheming? He worked for the NCQA. And Baron helped Ballard Sparh inflict unnecessary pain and conduct heinous violatory acts against physicians and competing board prep courses - in order to expand their empire of control over docs and protect their golden goose MOC. Where did all that consulting money go and for what purpose was it used? I believe McGladrey and Pullen bought RSM in 2011 giving greater US and international exposure. The new merged company being RSM McGladrey. Where did a $361,753 ABIM payment to RSM McGladrey go in 2011/12? Plus the humongous $107,240 for accounting fees. That's $468,993 in total. For what? Christine Cassel was not the Snr VP and CFO of the company as McGladrey signed off on. $470K to get your most important data wrong of who the CEO is! 470 dollars went for something, but it was not accounting. That is certain. It is fair to assume that an ABIM junior accountant did the tax forms. Not international professionals like RSM McGladrey based out of Chicago. 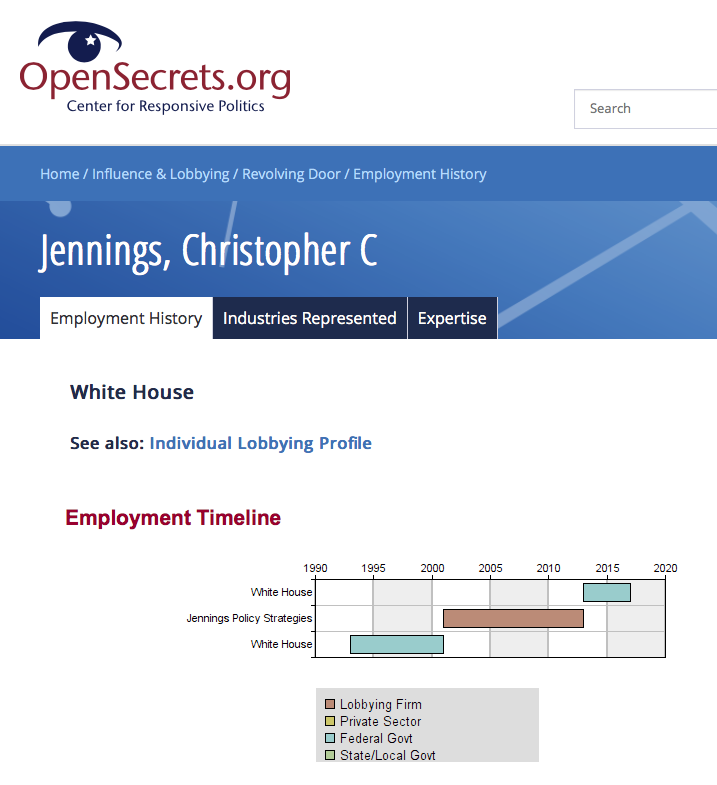 The problem with Chris Jennings working on healthcare for the Obama White House was he had to stay away from "officially" being a lobbyist for some time to appear free of conflicts of interest. So, did ABIM use this money for lobbying and funnel it to someone like Jennings to achieve their objectives. Even through an affiliated organization who arranged for the lobbying activity? Really, could the self-serving COI of the ABIM et al BE ANYMORE CLEAR????!!!!!!! According to Open Secrets ABIM lobbied in these years. 2009, 2010, __, __, 2013, 2014, 2015. Gaps appear in 2011 and 2012. It is puzzling. The $361,753 paid out to ABIM's independent contractor RSM McGladrey during the 2011-12 tax year fills in that two year "gap" in their activity. This period coincides with the period of self-reported lobbying inactivity for Jennings Policy Strategies. As we know, the ABIM's tax year straddles mid-year 2011 to mid-year 2012. July 1 to June 30th. Cassel went to the White House as PCAST adviser in April of 2009. Chris Jennings was allowed access to the White House healthcare reform party "officially" in 2013. But he was involved in the Oval Office discussions before that. He worked in and out of the White House on health reform and his bread and butter was on Capitol Hill and corporations since the 1990's. Chris Jennings was engaged in "soft lobbying", to be sure during 2011-2012 and "Dr. Google" testifies that he was smack dab in the middle of the crime scene. Jennings Policy Strategies did in fact represent the ABIM in 2010 and 2009. We are suspicious of the amount expended. $10,000. The monetary figure may not represent the actual year or amount of work expended, however. This chart below shows no break in lobbying by Jennings Policy Strategies from early 2001 through 2013. Open secrets reveals that Jennings Policy Strategies was hired by ABIM as healthcare lobbyist in 2009 ($90,000) and 2010 ($10,000). The agencies lobbied were both houses of Congress, HHS and CMS. The issues were healthcare and Medicare and Medicaid. Chris Jennings and his VP Of healthcare policy Katherine Hayes were paid lobbyists at JPS. Katherine Hayes is now director of healthcare policy for the highly influential Bipartisan Policy Committee. Hayes appears to be putting her recent partnership with Jennings a few rungs down on her fabulous resume and prestigious career. Looking at the BPC members and founders online, be prepared to scroll on and on. The website is a veritable brigade revealing a 'who's who' of political influence and soft power in the US and abroad. 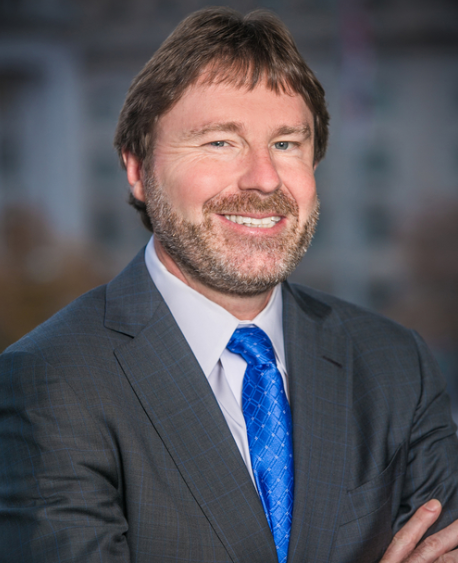 Chris Jennings photo and bio appear prominently among BPC's healthcare ranks, as do his voluminous contributions to the bipartisan issues, studies and advocacies. Another 'once upon a time' Bipartisan Policy Committee member: Andy Slavitt. Edelman and ABIM: Growing The Healthcare Market From The Inside Out? By Erin QuinnemailChris Young 5:00 am, January 15, 2015 Updated: 9:08 am, January 17, 2015"
"Forget lobbying. When Washington, D.C.’s biggest trade associations want to wield influence, they often put far more of their money into advertising and public relations, according to a new Center for Public Integrity investigation." "Take, for example, the American Petroleum Institute. The oil and gas industry trade group spent more than $7 million lobbying federal officials in 2012. But that sum was dwarfed by the $85.5 million it paid to four public relations and advertising firms to, in effect, lobby the American public — including $51.9 million just to global PR giant Edelman." Leader of public engagement and transmedia communications efforts on behalf of top tier health clients, including community-building, planning, public relations strategic counsel, integrated messaging, crisis management and content creation for clients in sectors such as diagnostics, infectious disease, cancer care, cardiology, health IT, animal and public health" . . .
We'd all like to know why ABIM has a PriceWaterhouse PwC director as their chief medical officer? This does not sit well with anyone who knows. The trouble with this is partly because the ABIM chose not to disclose it. But the big image buster concerns the egregious conflicts of interest and who his clients at PwC were, and as we know, still are. RICH BARON chose not to disclose it to the ones forced to pay into his offshore investment funds and MOC politico financial schemes and plasticine propaganda. MOC is an acidic toxin consuming the profession of medicine and eating away at a physians ability to see patients. It is getting septic. We all know what the cure is. MOC's poisonous "industrial-strength mandate" must be purged from the system. Concerning the reputation of Mr Batttaglia's previous employer: PwC has been embroiled in all kinds of scandals "fixing things" for their corporate heavyweight clients like Pearson PLC, the ABMS go-to company for professional testing. His PriceWaterhouse clients are the very ones who profit from treating doctors like fodder for their dollar harvest. Corruption is the acid burning up patients and their physicians. COI the catalyzing agent. It is sickening to even think of having anything to do with the ABIM or ABMS. That is how cheapened their brand and trademark has become. Lobbying behind the backs of physicians and the IRS for regulatory capture does not sit well with me. Hiring PR smoozers in bed with the largest healthcare clients in the world may be even worse.